Not to be confused with veins, which pump oxygen-depleted blood to the heart, arteries are the vessels that usually deliver oxygen-rich blood from the heart to the rest of the body. While these indispensable blood vessels work tirelessly to keep us up and running, many people go about their day without knowing much about them. While the arteries in our bodies branch out into many fine channels to cover ample surface area, there are certainly a few arteries that pump more blood and are larger than the rest. Let’s take some time to learn about the 5 largest arteries in the human body and what they do to keep us healthy. 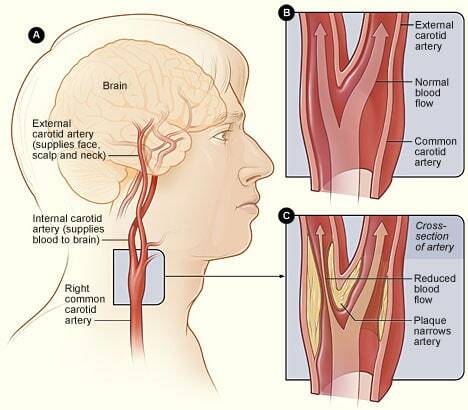 The carotid artery is the main artery that pumps blood from the heart to the brain and the rest of the head. One common carotid artery can be located on either side of the neck, and should not be confused with the jugular vein. The right and left carotid arteries are present in both the chest and neck. However, the left carotid artery makes more of a presence in the chest, while the right carotid artery branches off much closer to the base of the neck and is mainly present in the throat and head. Cholesterol plaques on the inside of the carotid artery can interfere with blood flow and prevent enough oxygen from reaching the brain. This can cause strokes, and is a major reason to monitor one’s cholesterol. This major artery runs down the inner thigh, and carries out the important role of supplying blood to the lower body. It is the largest artery found in the leg region, and is subdivided into several sections including the deep femoral artery and the superficial femoral artery. The deep femoral artery lies deeper in the muscles and closer to the femur, and provides the main blood supply to the thighs. The superficial femoral artery is closer to the surface and extends to provide oxygenated blood to the knees and lower legs. This artery is elastic, and expands to accommodate each swell of blood pumped by the heart. Embalmers use this artery to pump preservative chemicals into the body after death. This powerful artery travels beneath the collarbone, or clavicle, to carry blood to the neck and especially the shoulders and arms. 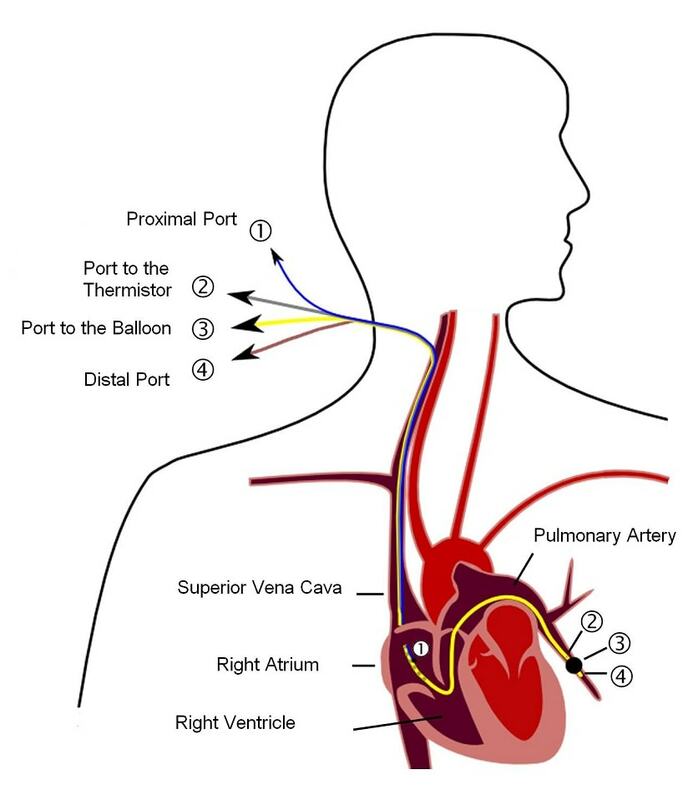 There is one subclavian artery on each side of the body, and each one branches out from a different location. On the left side of the body, the base of the subclavian artery extends from the aortic arch. On the right side, it extends from the brachiocephalic trunk. This major artery diverges into eight different branches throughout the body and supplies blood to body parts such as the torso, arms, and neck. The subclavian artery only extends to the lower edge of the pectoralis major muscle. From there on out, it is referred to as the axillary artery. The pulmonary artery, or pulmonary trunk, carries deoxygenated blood from the right side of the heart and distributes it to the lungs. It is divided into the truncus anterior, which supplies blood to the right upper lobe, and the interlobar artery. The interlobar artery is subdivided into the inferior and larger branches, which supply blood to the middle and inferior lobes of the lungs. While this artery isn’t very long, not having much distance to cover between the heart and lungs, it’s very wide in order to accommodate a large volume of blood. Aside from the umbilical arteries, the pulmonary arteries are the only ones that carry oxygen-depleted blood instead of oxygen-rich blood. The aorta is the largest artery in the human body, as well as the main artery in the circulatory system. In fact, it’s nearly as big around as a garden hose and about a foot long. 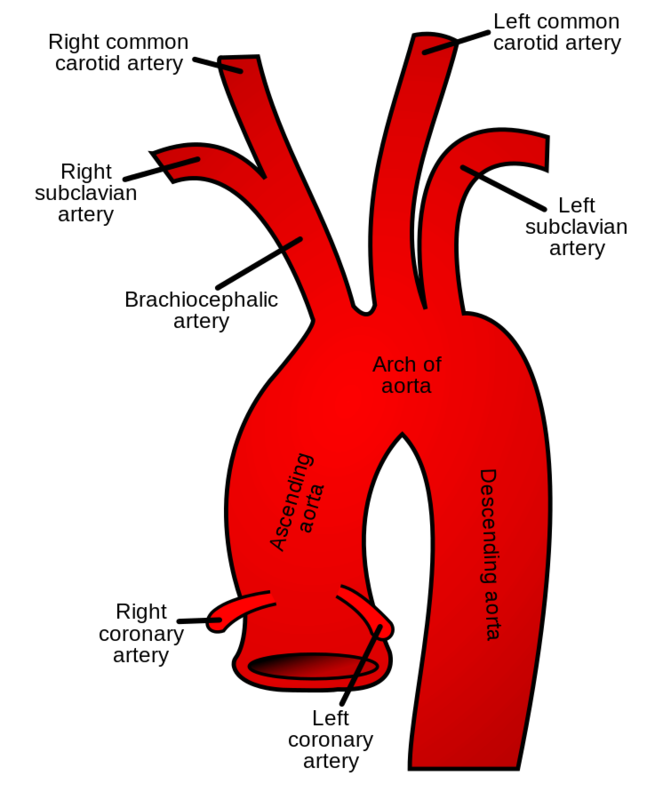 The aorta descends from the left ventricle of the heart down the center of the body, supplying most other major blood vessels in the circulatory system. Once the aorta reaches the boundary of the diaphragm, it is then referred to as the abdominal aorta. 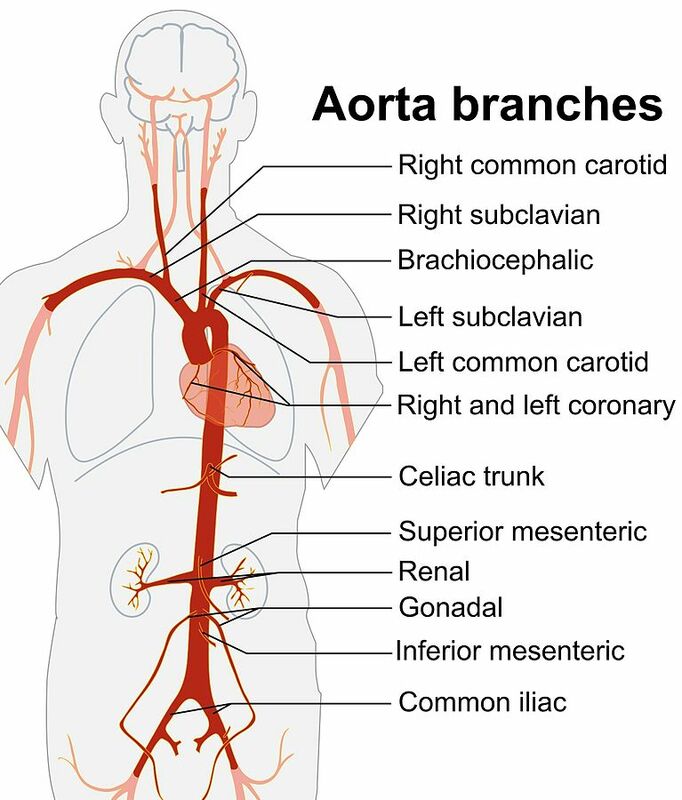 The abdominal aorta ends where it connects with the paired iliac arteries, which lead through the pelvic area to the common femoral arteries. The massive aorta does not actually extend straight down once it leads away from the heart. It actually extends upwards, forming the aortic arch, before running down through the torso and branching off to the rest of the body.